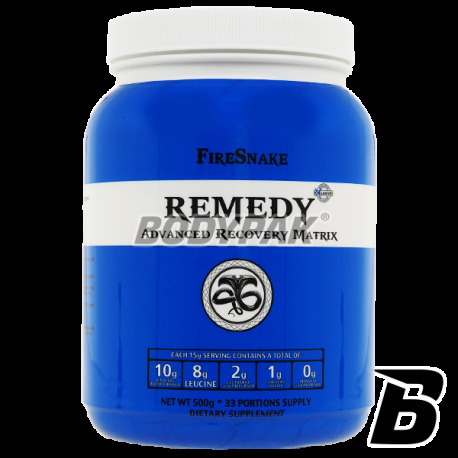 FireSnake Remedy is an advanced supplement okołotreningowy providing the body a powerful dose of BCAAs, Glutamine and anabolic supplements. 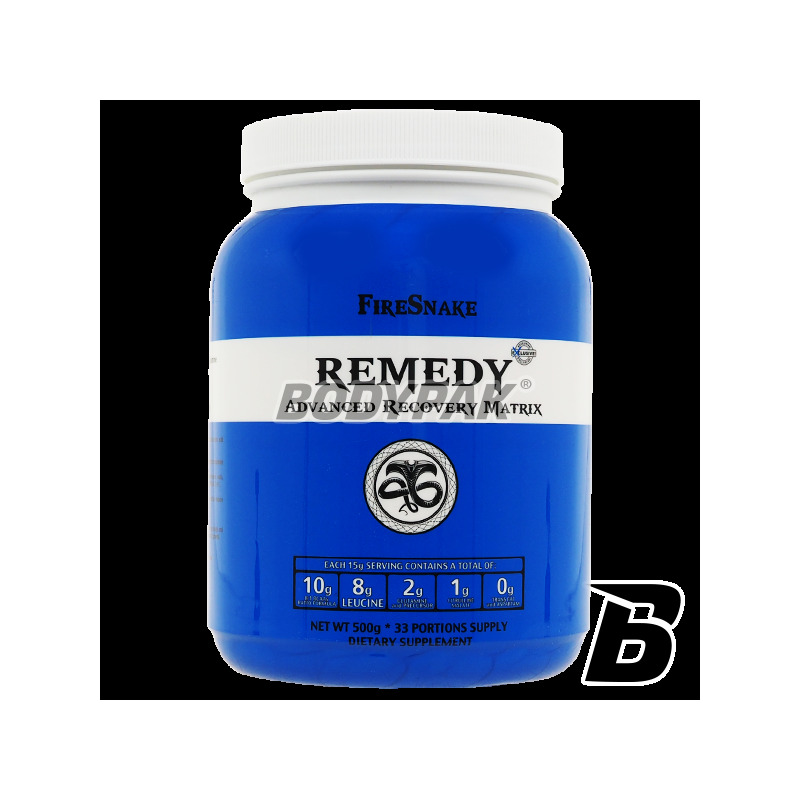 FireSnake Remedy is an advanced supplement okołotreningowy providing the body a powerful dose of BCAAs, Glutamine and anabolic supplements. As research shows most anabolic BCAAs Leucine, which, however, must be provided for the full anabolic effect with Valine and isoleucine. Therefore, we decided to change the ratio of individual amino acids in the Remedy - Special formula 8: 1: 1 for masymalną dose of leucine in a single portion, and allows full use of the component organizm.Kolejnym Remedy is L-glutamine, which perfectly enhances muscle recovery, and provides a better job the immune system. Remedy contains up to 2000 mg L-glutamine in each porcji.Jabłczan Citrulline increases muscle pump and protein synthesis, which enables a significant increase in the possibility of exercise the body - each serving Remedy is 1000mg Citrulline Malate! Ogromna dawka leucyny i dodatek glutaminy sprawa, że są to bardzo mocne aminokwasy które nie tylko dobrze regenerują, ale przede wszystkim przyczyniają się do bardzo dobrych przyrostów suchej masy mięśniowej - rewelacyjny produkt!